Due to the nature of their business, not-for-profit business es need marketing just as much, if not more, than for-profit corporations. Since not-for-profits run on and rely entirely on donations and volunteers, it is crucial that the general public is aware of their needs. 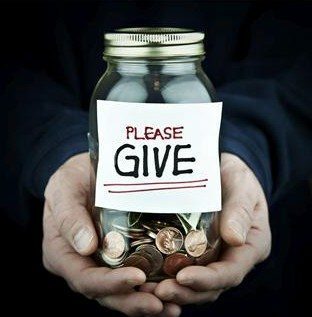 With the economy the way it has been the past several months, donations are becoming harder to come across. As a result, running a not-for-profit business has become even more challenging than ever. Thanks to the Internet, marketing has now become a tool that can be available and afforded by any company. Not-for-profit organizations no longer have to worry about cutting into their already meager budgets to purchase marketing ideas and plans. Advertising and promotion can now be utilized by not-for-profits in a realistic way, and as a result can get their name and need out to the general public. Using social media sites such as Facebook, Twitter, LinkedIn and various blogs, not-for-profit organizations can expose their services free of charge and solicit the donations that are so desperately needed. In a time when the economy is down and regular donations are on the decline, try boosting business for your not-for-profit by expanding awareness and reaching out to companies and individuals who do have the resources to provide. Another option to give your not-for-profit a marketing boost is to ensure your website is at the top of the list anytime someone performs an Internet search. Search engine optimization is an easy way to bring more familiarity to your company and ensure your not-for-profit organization is getting the most out of your website. After all, what good is a website if no one can find it or knows it is there? If utilizing social media outlets or search engine optimization is something of interest to you and your not-for-profit organization, but you are unfamiliar with the technical aspects, Design & Promote can help get you started.Contact us Today!